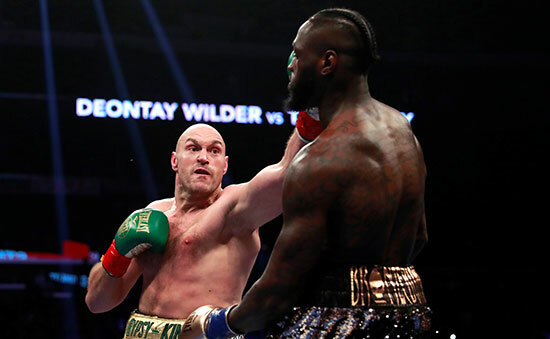 THE ABSORBING THRILLER between Tyson Fury and Deontay Wilder on Saturday night in Los Angeles gave the sport of boxing – the heavyweight division in particular – a major shot in the arm. The eventual outcome, determined by the scorecards, gave it one in the foot. There can be no doubting that Tyson should have arrived back home clutching some excess baggage in the shape of the WBC world heavyweight title belt. That he didn’t is a travesty that needs to be put right. It is so disappointing for Tyson not to have the belt to show for his heroic and highly skilled exploits at the Staples Center and it is a miscarriage of justice that he took with both class and dignity. The way he responded tells you everything you need to know about the man. What Tyson displayed inside the ring was what we all thought he would do, but you just couldn’t be sure in the later rounds because of his time out. He was simply magnificent and he won the fight. I watched it back again on Monday and thought he won it by at least four rounds. Major events featuring compelling showdowns over in the States are being tainted by incompetent judging and it is just not on. You have the two Canelo-Golovkin fights and now this one. These judges are not made accountable for their incomprehensible scoring and continue to be appointed to other fights. In football – and probably most other sports too – it would not be tolerated and they would be demoted or permanently sidelined. It is just not acceptable and I include the scoring of the British judge in this – it simply defies logic. Phil Edwards is a good referee and I have a lot of respect for him, but he got this dreadfully wrong. This isn’t bias or a big bunch of sour grapes on our part because the respected observers at ringside all thought Tyson won and Lou DiBella – part of Wilder’s team – went up to him in the ring after the fight and said to him ‘you won’. From his body language at the final bell, you could tell that Deontay didn’t think he was going to get the decision. I must add that I’ve got a lot of time for him and he is a lovely bloke. Tyson is a unique heavyweight and what has happened to him here is a blight on the sport. I must give a special mention to Ben Davison, who did exceptionally well on the night in what was the culmination of his fantastic work in getting Tyson into shape and preparing him for the fight. Everyone had doubts about him, given his experience, but it just shows you what a student of boxing Tyson is to pick him as his trainer. He obviously saw something that nobody else did in giving a young man his opportunity and it worked brilliantly for both of them. Tyson answered all the question marks held against him before the fight and proved himself more than ready to be back operating at the highest level. 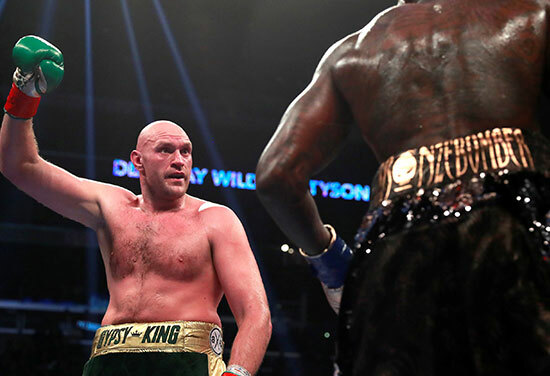 Don’t forget, this was a fight – according to a certain someone – that first of all was never going to happen, then didn’t sell any tickets and finally, of course, Tyson Fury is the most boring fighter out there. Tyson Fury is now in the driving seat. He is the No.1 heavyweight in the world. Of course he would like to have had the belt because they are the trophies of the sport, but he has got something none of the others have got. He is the lineal champion and he reaffirmed his position as the top man of the division. I said whoever won the fight would be the No.1 and in my eyes and that of numerous astute judges, Tyson did win and he is the champion. Wilder will now, we are told, be pursued as an opponent for Anthony Joshua, but why are they not saying they want to fight Tyson? If you conducted a poll of boxing fans asking which fight they would prefer to see, I am pretty sure we all know what fight would top the charts. Whether Joshua would withstand Wilder’s punching power, I am not so sure. Remarkably, when Tyson was put down by Wilder he actually finished the rounds the stronger of the two. When he got put down the last I did think it was all over. He told me later that he used the time to get his legs back in working order because he didn’t want to get up on wobbly legs, so he laid still before getting up. Tyson is not only a warrior, but also a smart boxer. It was a brilliant, brilliant fight and the referee Jack Reiss played a big part in it by letting it flow. The reason is was so much more entertaining than the Wladmir Klitschko fight is that big Wlad is a safety-first merchant so that one was never likely to catch fire. 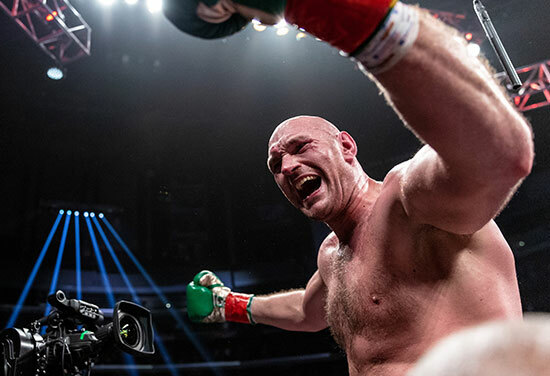 Tyson, by rights, really should be a shoe-in for the Sports Personality of the Year award because there is no bigger personality in sport than Tyson Fury. He has shown the world that he is now back in business as the top heavyweight on the planet.